Police revealed that a further arrest was made on September 6 in relation to the MVR 2.7 million robbed from Ensis Fisheries Company, one of the biggest fish exporters in Maldives. This marks the ninth arrest made in connection with the on-going investigation. Local media Mihaaru reported that according to a credible source, the 22-year-old man in question was in possession of more than MVR 600,000. The spokesperson for Police revealed that the man has been remanded for 15 days under a court order while the investigation proceeds. 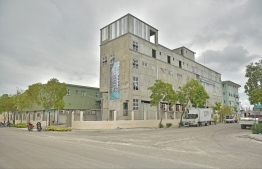 The robbery took place on July 31, as the money was being loaded into a company van after an employee of Ensis had withdrawn the amount from a Mauritius Commercial Bank branch in the reclaimed suburb of Hulhumale. According to Ensis, the money was snatched by two men on a motorbike. Despite the fact that eight arrests have already been made regarding the robbery, including two employees of Ensis, the number of people still being held under police custody remains unclear.